Please CHECK THIS ITINERARY often for additions, changes and updates! Players are to provide their own transportation to and from camp and ALSO must provide your own transportation to team city if contracted. Nearest airport to Camp is in Aguadilla, Puerto Rico. ALL PLAYERS MUST ARRANGE FLIGHTS FOR ARRIVAL FOR EITHER ON THE 1ST OR 2ND OF JUNE AND DEPART ON JUNE 6TH. 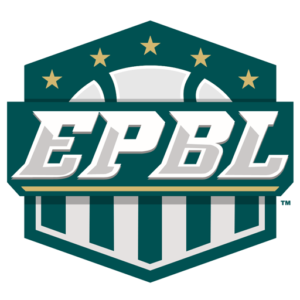 The EPBL is not responsible for transportation until day 1 of games. Players are to provide their transportation to teams game 1 destination. If a player is selected by the team, that player will be allowed to stay in teams housing until game one following the conclusion of camp. The EPBL highly recommends purchasing a FLEXIBLE FLIGHT where the dates can be changed. Injuries happen unexpectedly and players must have transportation available. NOTE: There will be a shuttle for 20$ each way to and from Aguadilla airport ONLY for those that request it by emailing baseball@empireproleague.com with the subject "Transportation from/to Airport Aguadilla". Please include your airline, flight number, and arrival time. You may contact (813) 220-6506 via TEXT ONLY for communication. You are ONLY allowed to bring a TOTAL OF 2 BAGS if you are signed for the season. Any more then two bags will result in dismissal or forced to leave bags behind without supervision. 1 carry on size personal bag 50 linear inches (22 x 18 x 10 in) or 127 centimeters (56 x 46 x 25 cm) and 1 baseball equipment bag. Any personal bag bigger then allowed size will be not be allowed to travel with team and team is not responsible for your belongings. There is laundry available so pack lightly. You must bring your own BEDDING! (Pillows, Sheets, Covers, Towels, Shower Shoes, Soap, Personal) . You will need to have your own bedding throughout the season. Housing will be provided for contracted players during season. You must bring MANDATORY, regular baseball ALL WHITE PANTS and ALL GRAY PANTS, Cleats and proper baseball equipment. If you make a team, all players will be required to wear a pair of black shorts. All players attending camp should be able to provide the following proper documentation (Valid passport or valid drivers license, social security information, employment visa information (for international only)) and must have personal health insurance. 8:00am - 4:00pm: ARRIVE in to the Aguada Facilities. Any player that arrives on 1st or 2nd will be able to stay in the facilities. 9:00am: Mandatory first camp meeting at Aguada Stadium. Do not be late, ENFORCED. No excuses! Catchers throw downs. Pop Times following bullpen evaluations. Outfielders following 60yd dash will get loose on left field side to prepare for outfield evaluations. When ready, head over to right field line to get evaluated. After evaluation, outfielders get ready to hit in order. While Outfielders are evaluating, infielders get loose in the left field line to begin right after outfielders are finished. Will need 2 infielders and catchers for outfield evaluations. Position players to hit immediately after fielding evaluations. One round of BP (10 cuts). [Order: Outfielders, 1B & 3B, SS & 2B, Catchers] on field 7. All players are to shag including pitchers (mandatory). End of evaluation after BP. 7:30am - 8:30am: Breakfast for players with plans. 8:45am: Mandatory players meeting (Late players will be excluded from meeting and possibly released) No excuses! 1:00pm: (For players that make team only) Pictures, etc. 10:00am: Check out of Facility.